HOPE – a charity in Pakistan embarked on journey of spreading education in Pakistan which began with one school has now a network of schools in all over Pakistan, where thousands of underprivileged are getting an opportunity to get quality edification through Formal or Informal schools. Recently eight students of HOPE Zia colony school visited Toyota Showroom for the the Toyota dream car art contest which is a global contest organized annually by Toyota Motor Corporation (TMC), Japan with about 80 countries participating in the competition. Japan and Indus Motor Company (IMC) has been organizing it in Pakistan for the past 5 years as part of the global Toyota initiative. This global contest is intended to create opportunities for children, offering them a platform to develop their interest in cars and expressing their creativity and imagination by drawing the “car of their dreams”. 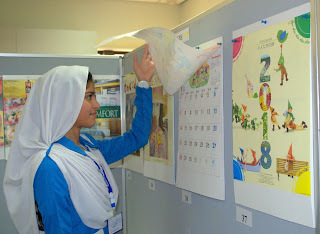 At the end of the competition, students were rewarded with certificates and goody bags. Representatives of HOPE along with one teacher accompanied the students and guided them where needed. HOPE- an educational NGO in Pakistan believes that Art is not meant to be looked at only for what it is. It is meant to stimulate thought because it allows viewers to draw their own emotions and pull from their personal experiences when viewed. It is very powerful in this way and it naturally develops critical and innovative thinking skills. 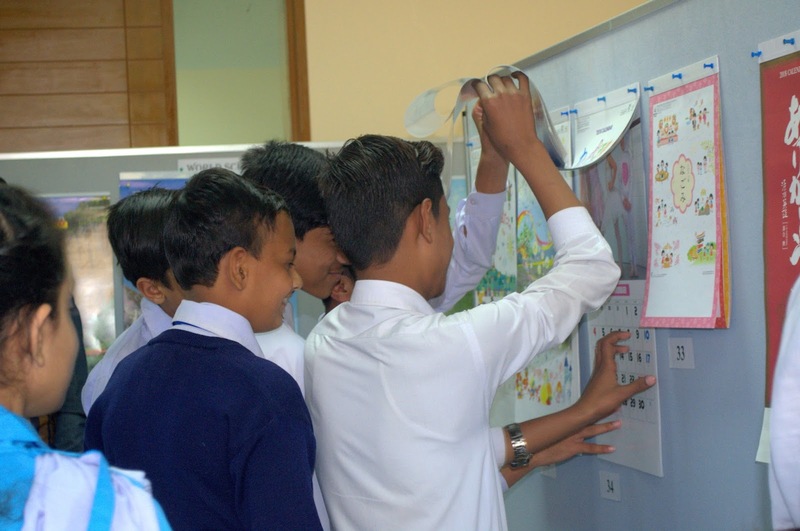 Art also teaches many important qualities such as listening, observing and responding to multiple perspectives. Students of HOPE were elated and thankful for such a wonder experience. 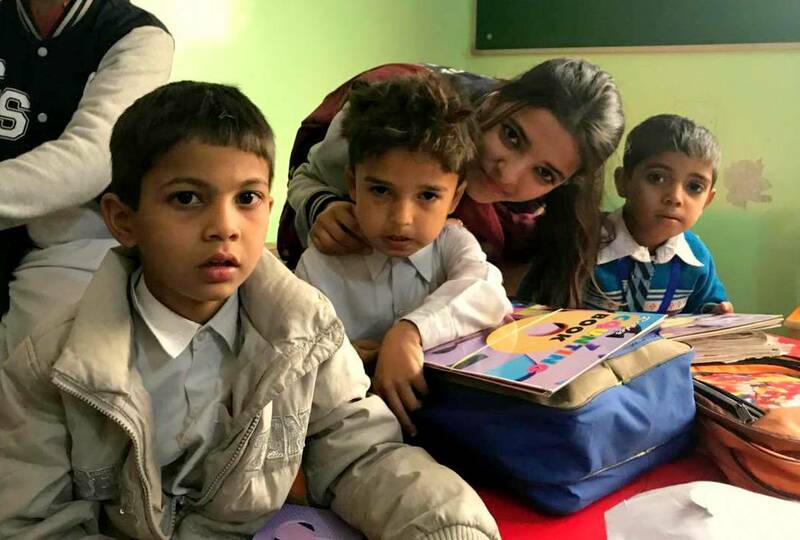 Face painting and other activities proved to be a cherry on the cake for these underserved children. 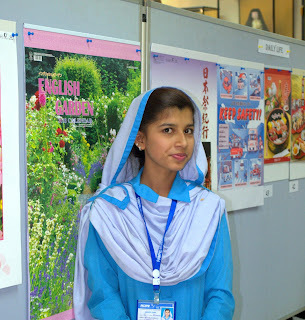 Dr. Mubina Agboatwalla- a child special in Karachi believes that art is a way of adding color and joy to a dreary life and hence facilitates any such activity which aims to explore children’s hidden talents. Muzaffargarh, is a city in the southwestern Punjab province of Pakistan, and is located on the bank of the Chenab River. It is an alluvial plain full of citrus and mango farms. 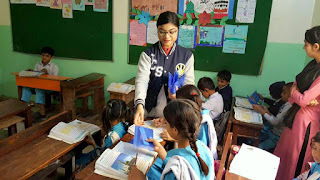 Muzaffargarh has experienced some of the most extreme and severe weathers in Pakistan. Vegetables are grown in abundance in this area, which include include onions, carrots, cauliflower, peas, okra, turnips, tomatoes, potatoes, garlic and chilies. 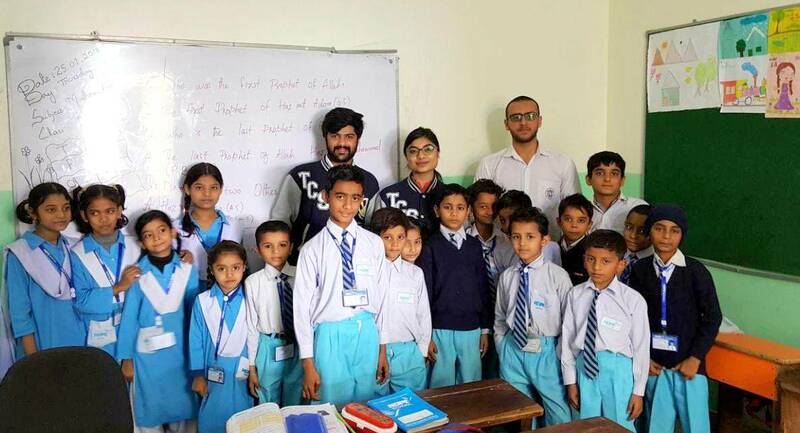 HOPE-a charity NGO in Pakistan, has been successfully operating a school as well as a vocational center in Muzaffargarh which is located a little further away from the main town of Muzaffargarh. HOPE an NGO in Pakistan team visited Muzaffargarh along with Dr. Mubina Agboatwalla-a child specialist in Karachi. 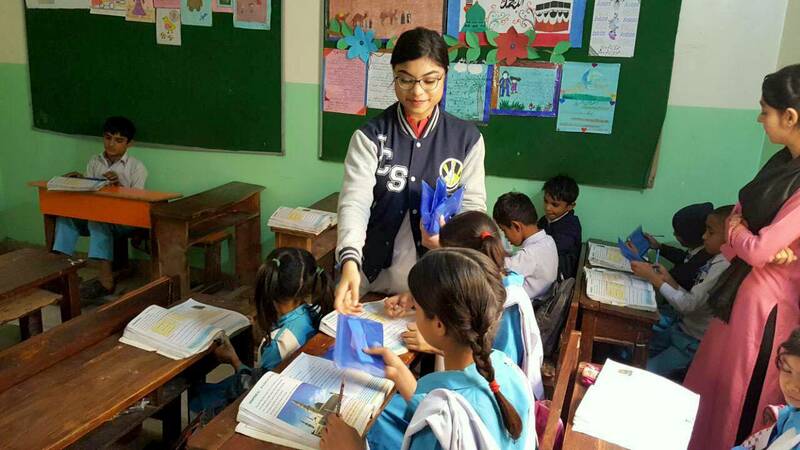 HOPE has set up a formal school system in Muzaffargarh. 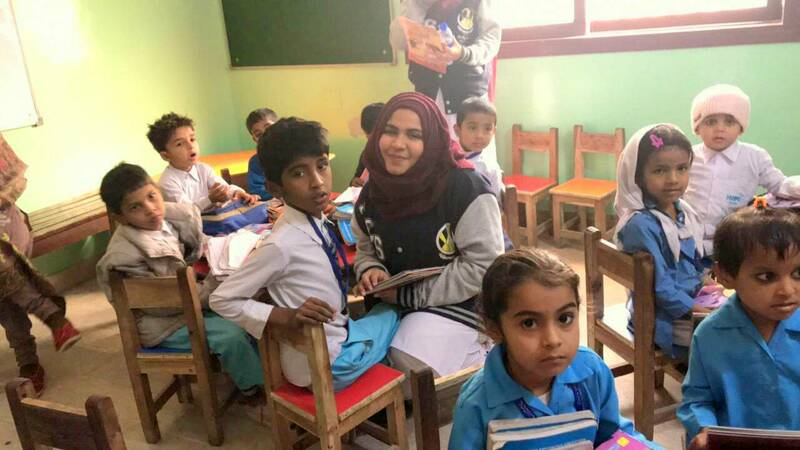 The school currently has 87 students and 6 teachers. On the first day of their visit, the team monitored the overall performance of the children regarding class participation, confidence, physical health and their ability to comprehend the subject matter. 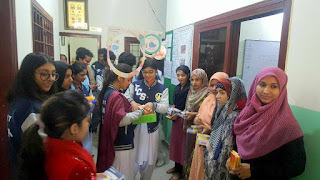 Snacks such as samosa’s and juices were distributed. 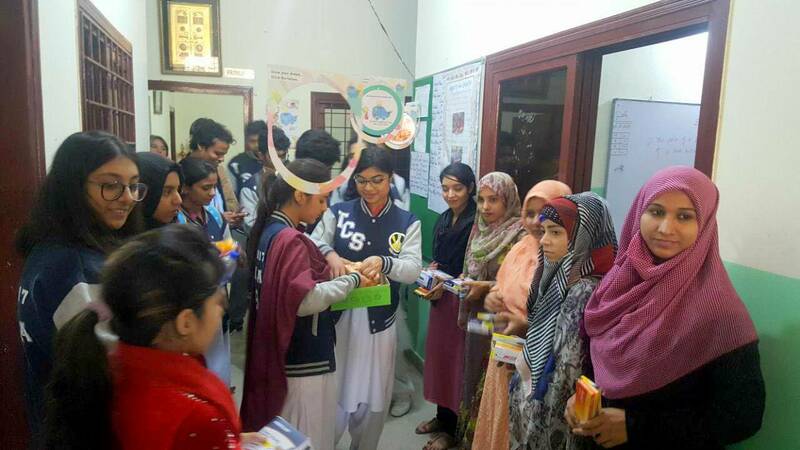 The HOPE team was welcomed by distributing gifts amongst the representatives. As the day commenced, a sports day was organized where students were ecstatic to show the chairperson all that they’ve been practicing for. The sports day activities included lemon race, relay race, tug of war, aerobics and cricket. HOPE- an NGO in Pakistan, supports not only educational but also extracurricular activities and is a staunch believer in empowering children in every field of life be it educational, sports or art. HOPE contributes to the children’s betterment by organizing activities and events which unleash their inner creative minds and skills. 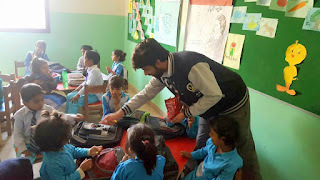 At the end of Day one in Muzaffargarh, HOPE distributed suits to young adults, teddy bears and toys to children and bags, pencil boxes and sweaters to all the students. An accolade, token of appreciation, was presented to all those who won the sports day contests and proved to be active participants. 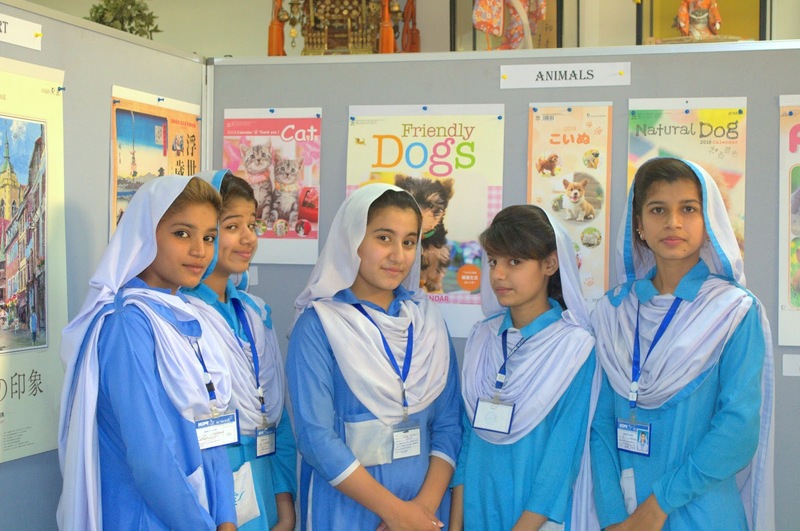 HOPE- a charity in Pakistan, works for the betterment of the society by providing high quality education. 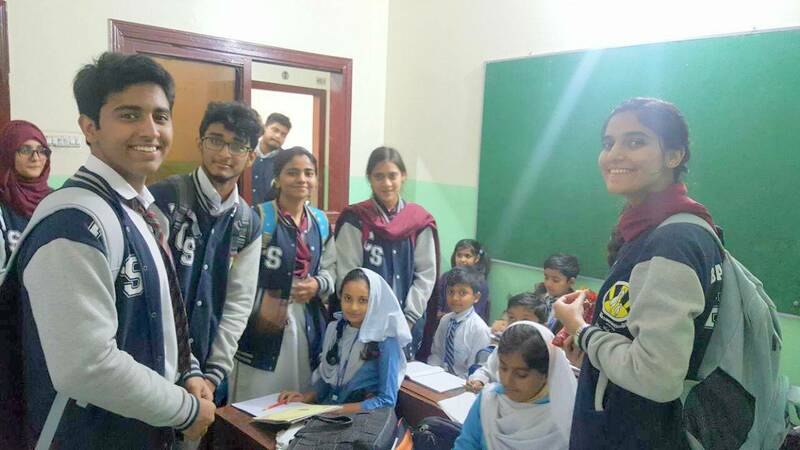 HOPE strives to achieve best possible ways to cater the health and educational requirements of the deprived community in Pakistan. The organization has rendered services to poor masses by giving access to their basic rights. HOPE- an educational NGO in Pakistan runs several secondary schools not just in Karachi but also in Thatta and Muzaffargarh, Southern Punjab. 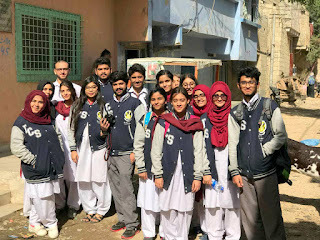 Hope an education oriented NGO in Pakistan, also runs as many as 200 home schools spread over many areas of Karachi’s slums, mostly on the very outskirts of the city where schools virtually don’t exist. HOPE’s schools do not just exist in Karachi or Sindh but a network of such schools are spread right into the very north of Pakistan - into Azad Jammu & Kashmir. 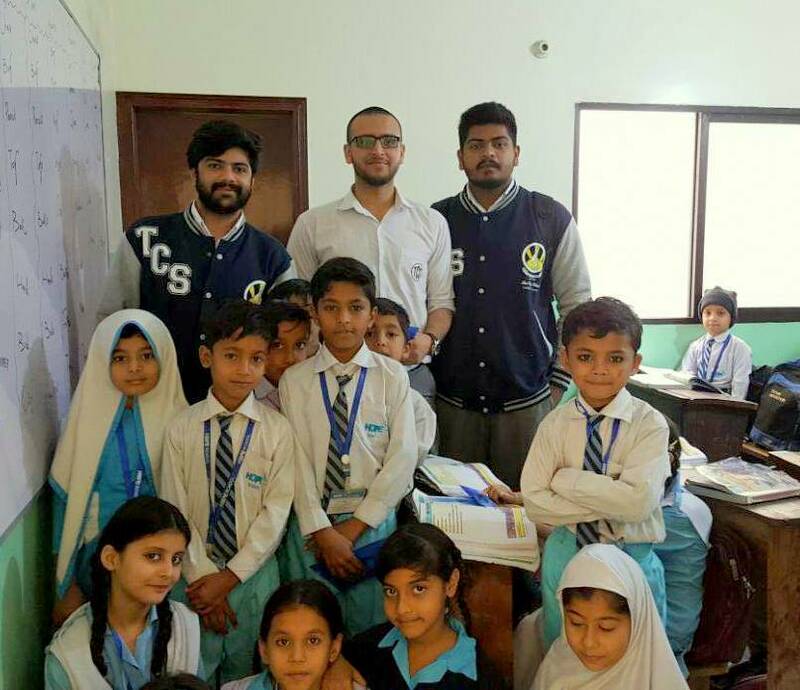 One of HOPE’s successfully running schools is the HOPE Zia Colony Formal School which is providing world class education to over 500 students. 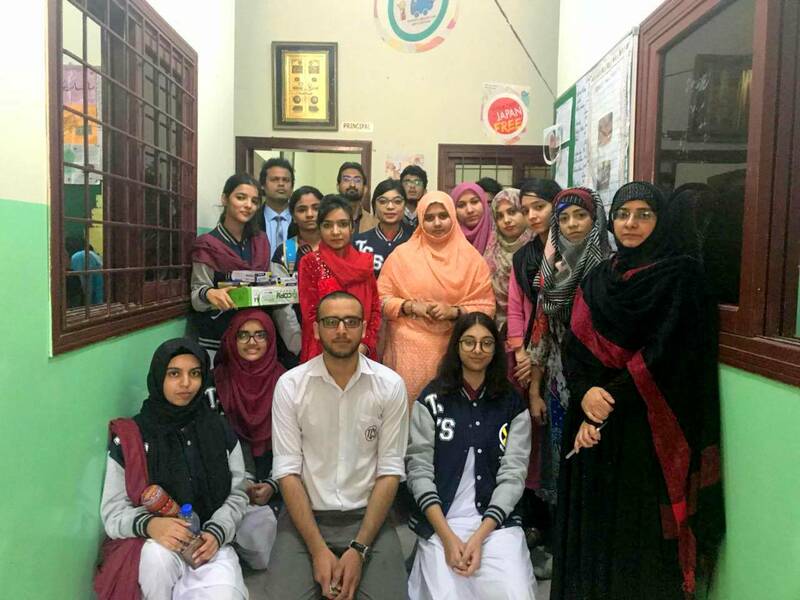 15 students of City School visited Hope School - Zia Colony along with one of the teachers and distributed 100 books to Montessori students and 100 boxes to the students of grade I and II. 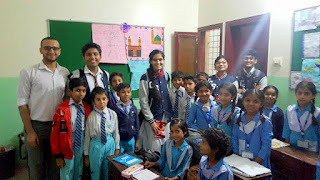 The students of City school were amused to see the charitable work which is being carried out on a daily basis under the supervision of Dr. Mubina Agboatwalla- a child specialist in Karachi. 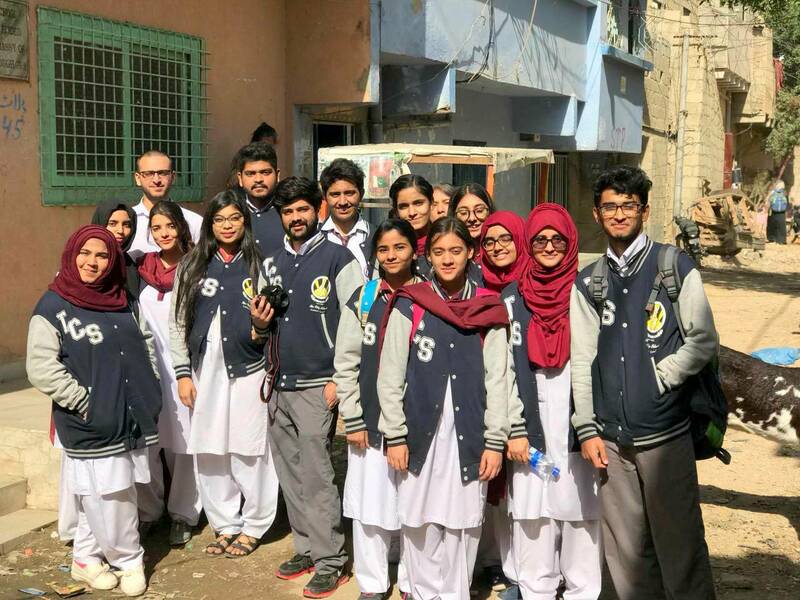 Question and answer session was also held where the students of City school got rid of all their queries regarding how HOPE works and how satisfied and privileged the students of Zia colony were to gain free of cost education. 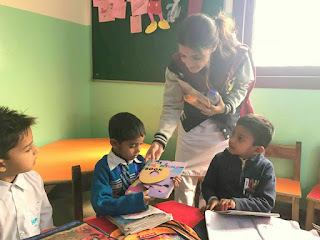 HOPE is an ardent believer in eliminating illiteracy to whatever extent possible and in doing so HOPE diligently tries to provide education to all, especially the underprivileged masses. Recently 44 students of HOPE school Zia colony were invited to the annual calendar exhibition held at the Japanese Embassy. 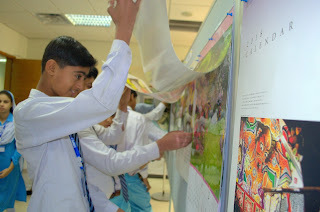 Students were thrilled and amused by the vibrant iridescent pictured which displayed the true colors of the Japanese culture, nature and animals etc. The exhibition was then followed by a documentary on the Japanese culture. The students immensely enjoyed their time there and found it extremely informative and exciting. The documentary told the story of how Japan has a fascinating and multifaceted culture; on one hand it is steeped in the deepest of traditions dating back thousands of years; on the other it is a society in a continual state of rapid flux, with continually shifting fads and fashions and technological development that constantly pushes back the boundaries of the possible. 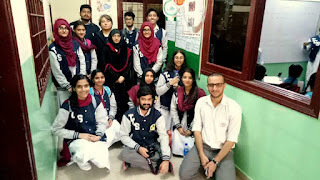 HOPE’s Chairperson Dr. Mubina Agboatwalla- a child specialist in Karachi is pleased to be working with the Japanese embassy which never fails in providing a helping hand in the eradication of illiteracy. The Japanese embassy is providing a platform where children are motivated by the intriguing nature of the Japanese culture and can indulge into different forms of art and craft- a way to express their thoughts and opinions.